Have you ever felt a strange feeling of being intimidated or having an affinity to a certain person who walked into a room? How exactly does that happen? What is it that makes you feel these emotions (however tentative) about an individual you have never seen in your life? Is it the individual’s mannerisms, body language, clothing or overall appearance? What you could be experiencing is the person’s aura that you are reacting to. We often hear people say that someone has a mysterious aura, or a very positive aura etc. So what exactly is an aura? In simple words, many ancient practitioners believe aura is a very powerful energy field that encompasses every living being. It looks like multi-colored luminous patterns. Every person has different colored auras and some of the auras have a more prominent color. These colors are a reflection of our personality. In metaphysical belief, all living beings have a specific energy field which emits vibrations. 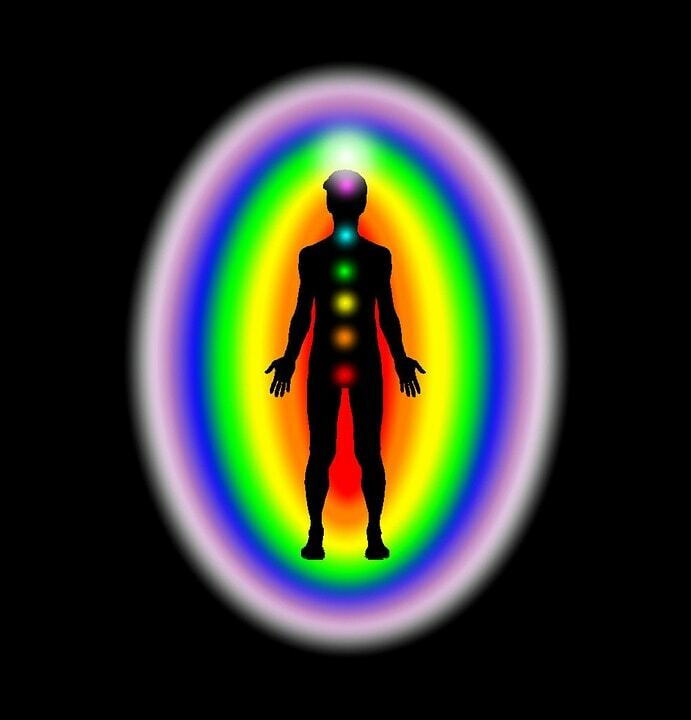 Individuals that are sensitive to the vibrations are also able to see the colors of an aura. While it is pretty easy to see auras of other people it isn’t as simple to see your own aura. And understanding the aura can be even more complex. However, there is a test that can help you determine the actual color of your aura. This is an online aura color test and you will find a number of sites that have it. Often times, people will ask what it means if their aura colors are dark or light or what the different aura colors mean. In this test, you have to go through the color category statements mentioned below, and if you feel that something resonates with what your true nature is, choose the option “yes”. It’s important that you choose ‘yes’ or ‘no’ for statements that describe you best. The answers shouldn’t be based on what people expect you to be or think you should be. Doing this will only alter the results, and won’t give you a clear idea about your true aura color. Go through the following color category statements and answer the questions. The color category that has the maximum number of ‘yes’ responses is your aura color. I have a ‘devil-may-care’ approach towards life, which often gets me into a lot of trouble. It doesn’t take much for me to fly into passion- be it love/temper. I am a self-confident and fiercely competitive person with a very pragmatic approach towards everything I do. I am quickly bored and flit from one thing to another. I enjoy good health and don’t really pick up infections easily, which helps me in various physical activities. I am quite the thrill-seeker and simply thrive in the face of any kind of danger. I’m honest, outgoing, vocal with my thoughts, and don’t make bones about anything. I’m fiercely independent and am always keen on keeping a tight rein of my life, career, and relationships. It isn’t difficult for me to be impetuous and impatient and I often make hasty decisions with no consideration of the consequences. I’m an excellent organizer and communicator and always take leading roles in various tasks. I have a funny bone, am always playful, and feel that my happiness is extremely infectious. I’m a very optimistic person and many people approach me for pep talks. I am non-committal and generally avoid taking responsibilities. I have a creative streak and am unconventional in my approach to most things in life. I tend to be very jumpy and am unable to harness my emotions and feelings. I am a decisive and kind person and strongly believe in maintaining very realistic goals rather than any fanciful ones. I’m largely known for my mental pursuits rather than physical ones. My friends consider me to be a very good counselor and teacher as I have a solution for most problems. I get very easily carried away in attempting to earn more money, which is almost always at the expense of my physical health. I have a very active aesthetic antenna which gives me discerning and classy tastes. I’m very loyal, peaceful and loving, and my friends tell me this combination is very difficult to come by nowadays. I work well under pressure and am known to have a very resilient nature. I am excessively moody and emotional and often tend to wallow in self-pity. I very rarely feel any need to draw attention towards myself and just prefer maintaining a low profile instead. I am good at articulating my views, feelings, and ideas effectively with the use of words. I’m perceptive, honest and supportive to people around me. There is a deep spiritual side to my personality that allows me to be artistic and creative. I always take the time to be in sync with my surroundings and feel a sense of comfort with my friends and family. I have a distinct affinity for the latest technology and devices and am a techno-geek. I’ve always had very strong views and concepts about life ever since I was very young and have a questioning attitude about common beliefs and expectations. I am proud of the fact that I’m extremely innovative and intuitive. Sometimes, I tend to get over-critical about myself and aim for perfection. I prefer having a select group of friends that accept me the way I am rather than have a large circle of acquaintances. I feel that I have the ability to make a difference in people’s lives and enjoy caring for the animals and our planet. I am more of an introvert, and people often misconstrue this to be weird or snobbish. These are the different colors of the aura and what they indicate. Every color is associated with certain attributes and personality traits that can help you read yourself in a better way. Red aura personality – Survival-oriented, strong-willed, and passionate. Orange aura personality – Creative, adventurous and energetic. Yellow aura personality – Intelligent, optimistic, and easy-going. Green aura personality – Sincere, balanced, and communicative, and sincere. Blue aura personality – Caring, collected and calm. Indigo aura personality – Creative, intuitive and sensitive. Violet aura personality – Artistic, authoritative, and spiritual. Sometimes, you might get more than just one color category with the same number of ‘yes’ responses. This occurs because every individual has multiple aura layers. It’s possible that you will have two very distinct aura colors. Once you know your aura color’s, it will help you understand how to read aura colors and enhance your spirituality and consciousness to improve your inner energy levels significantly.